I first noticed this passage pop up on my social media feeds a few years ago. It was largely unremarkable among the myriad similar memes used on lefty Facebook pages, except that this particular quotation was attributed to James Connolly. That caught my attention, because it felt off. The text seemed a bit too modern and didn’t chime with Connolly’s own writing style. So I looked it up and it turned out that the line didn’t come from Connolly at all. 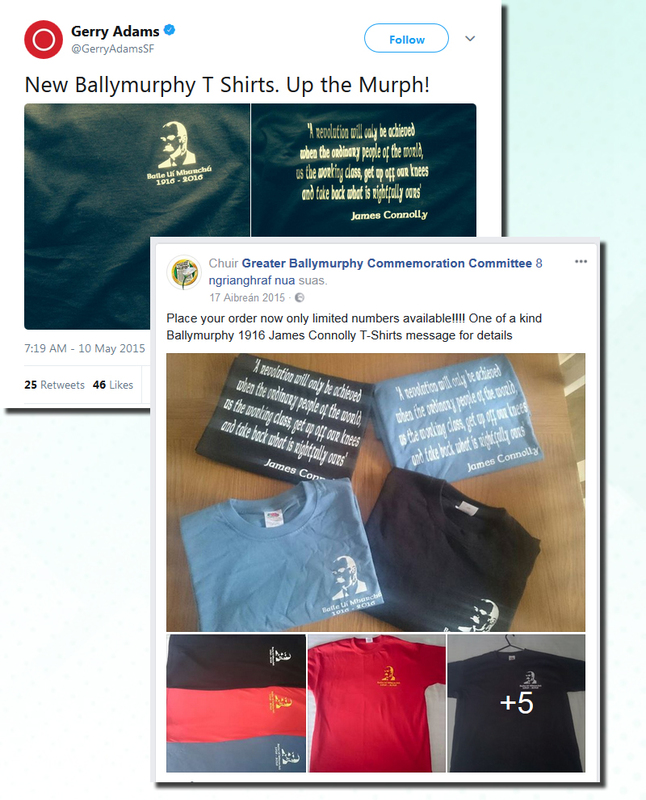 As it happens, it originated in a 2004 article entitled “The ideas of James Connolly” by Oisín Mac Giollamóir, which first appeared on Indymedia and in Red & Black Revolution. This shows how close Ireland came to the Social Revolution that Connolly dreamed of and gave his life for. This revolution can’t be achieved by means of a lobby, or a parliament or a coup d’etat. This revolution will only be achieved when the ordinary people of the world, us, the working class, get up off our knees and take back what is rightfully ours; namely, everything. Alright then, mystery solved. I was able to send those links to any friends who shared the offending memes, and hopefully cleared up any confusion over the issue. Plus it’s not like there’s any shortage of choice exhortations that actually were written by Connolly and worth sharing with the online masses. Except of course that the meme took on a life of its own, and began to appear in physical material produced by various political parties, trade unions, and other groups. Perhaps I’m being overly pedantic, overreacting to a harmless meme doing the rounds on the internet. I don’t deny that, though I think it does raise a few issues. The first being that proper credit for the line should go to Oisín as the actual author. Secondly, and perhaps more importantly in this era of #FakeNews, it’s a timely reminder of the need to interrogate what’s put before us. You are currently browsing the Crá Croí Cois Cuain blog archives for Aibreán, 2018.